Rug hooking is both an Art and Craft. 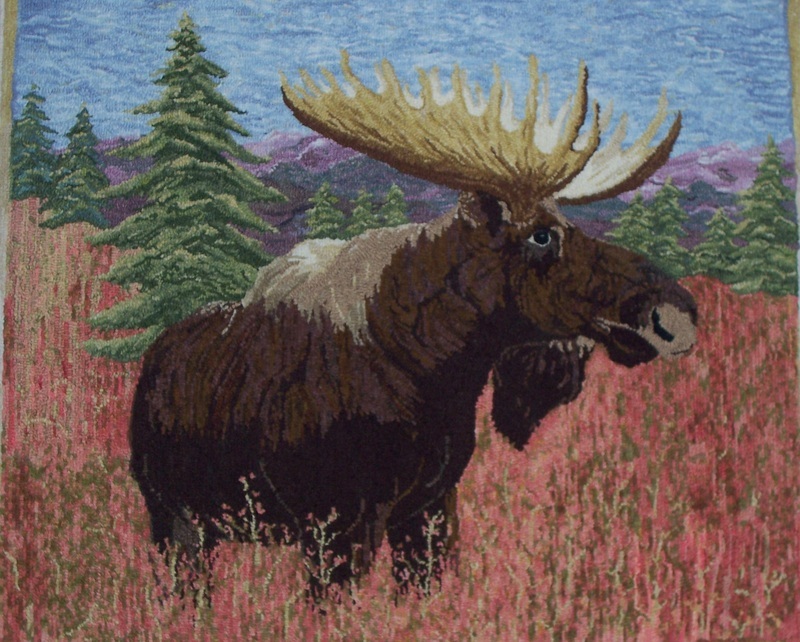 Rug hooking has been popular in North American for at least the past 200 years. However, it is said that this art has been around for hundreds of years. The end rugs have transitioned from a utilitarian function to a real expression of art today. The process has developed over the years as well. Original wool rugs were made from mostly wool fabrics recycled from worn clothing. Today, many artisans use new wool fabric and hand-dye their own special colors for each rug. The designs have developed over the centuries from basic primitive styles to modern artistic creations. The original wool rugs were typically hooked on a burlap backing. Today many rug hookers use either fine woven linen or cotton rug warp. The process of hooking the rugs remains much the same: you need a frame to put the rug backing on, and a hook for pulling the wool through the fabric. The wool is cut into strips ranging from 2/32 to 10/32 of an inch wide and about 10 – 12” long. These precision strips are usually cut using a mechanical cloth cutter; however the larger strips can be hand-cut or torn. The finer cut wool is often used for wall hangings. Designs for the rugs can be commercially purchased. However, today’s artisans often create their own designs.